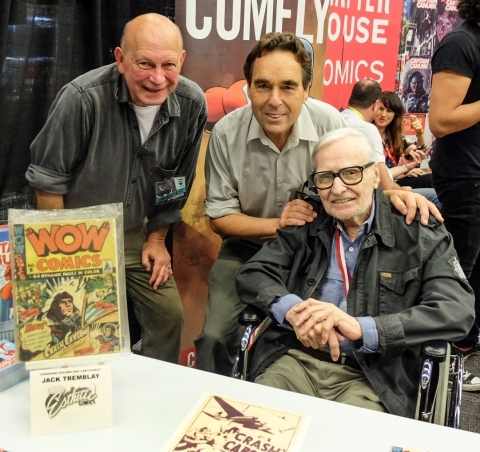 It was great to meet up with Jack Tremblay and his son Rick Trembles at the Montreal Comic Con this past Saturday. Jack turned 91 this on May 1st and now lives in a retirement home after a fall that resulted in a hip fracture almost a year ago. Jack is still full of youthful energy but isn’t allowed out of the home without a walker and somebody like his son to accompany him. Jack resented that walker and wanted to divest himself of it at a number of opportunities from the moment he got out of his cab but Rick made sure he used it. Jack also showed up wearing the “Giants of the North” award in 2014 at the Doug Wright Awards alongside Gerald Lazare and Chris Dingle (accepting the award on behalf of his father Adrian Dingle). The Montreal Con is on the same level as Fan Expo in Toronto in terms of attendees, exhibitors, guests, and panels. We secured Jack a wheelchair to navigate the drag and flow of people in those tight corridors between booths on the exhibitions floor and in the halls outside. After about a half-an-hour on the floor we headed up to our presentation room and waited a few minutes while the previous panel, which was in French and about a Québécois popular culture podcast, ended and then exited. Jack chilling just before going on the stage for our presentation. When we got started we found we had a solid crowd (for a presentation that didn’t involve any cosplay or light sabre rattling or superstar contemporary artists) of about 30 people settled in directly in front of the podium in a room that held about 150. The presentation screen was huge and we had no trouble hooking up the Powerpoint slide show. 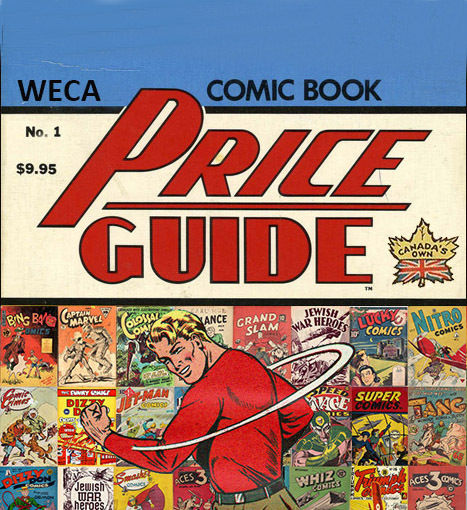 I went over the context of the WECA era and its comics, showing extracts from and plugging my book for the first 7 or 8 minutes then devoted the rest of the presentation to Jack’s art career and his connection to these comics. The audience seemed to be engaged the whole time and this was confirmed by the fact that the 15 minutes we left for questions at the end was fully taken advantage of by them with what seemed to me almost every individual there asking a question. 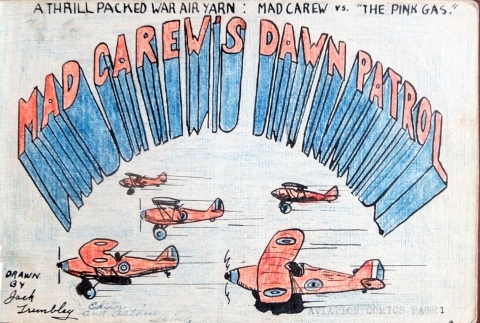 The most common comment from the audience, as is invariably the case at presentations on these old Canadian war-time comics, was that they had no idea these comics existed. At the very end, I announced that Jack would be doing a short signing at the Chapterhouse booth downstairs. After the presentation, more than half the audience came up to ask how they could get more information about these comics and to quickly meet Jack. 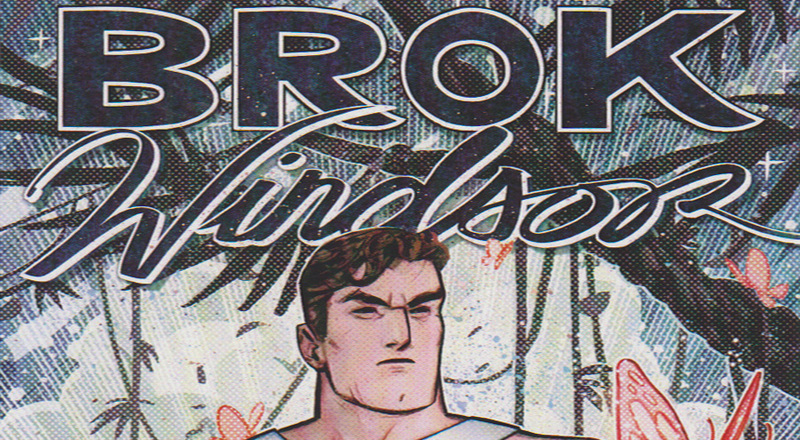 I managed to hand out all my business cards I had in my vest pocket since they had printed links to this column and to our Canada’s Own Comics website. When we had to make room for the next presentation and exit the room, Jack jumped off the dias we were on without walking back over to the end that had the steps down. It was only two feet off the floor but hey, at 91, that’s a super hero feat. We made our way back down, against the flow, to the exhibition floor and to the Chapterhouse booth which was kind enough to lend us a corner so that Jack could do a small signing there. Jack seemed to be thoroughly enjoying the whole day. Two old farts, me and Richard, and the truly youngest guy at the con. 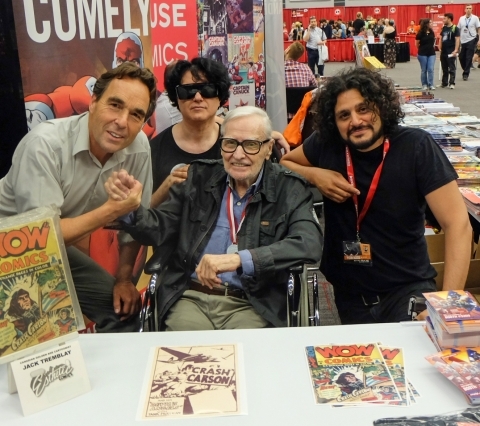 At the Chapterhouse booth he received a very warm welcome from Richard Comely and Chapterhouse “impresario” Fadi Hakim. Richard, Rick, Jack, and Fadi. 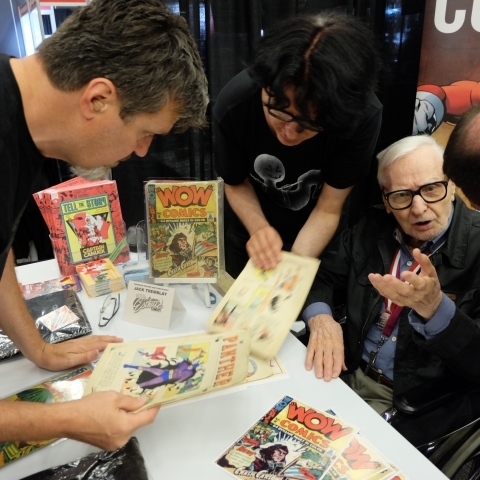 Here’s some geek (some of you may recognize him) looking at some of Jack’s original hand made comics from more than 75 years ago. The signing wrapped up after about an hour and Rick suggested that we head over to Chinatown, just a couple of blocks away, for a quick supper before Jack had to get back to the home. We had to go about 8-10 blocks before we found a place and Jack had no problem getting there. Jack and me rambling through Montreal’s Chinatown. Rick took the picture. Before the meal came, I had time to photograph some of the hand-made comics that Jack had created as a kid during 1939-1940 when he was 13 and 14 years old and sold around his Montreal neighbourhood on Rue Drake for a nickel apiece. 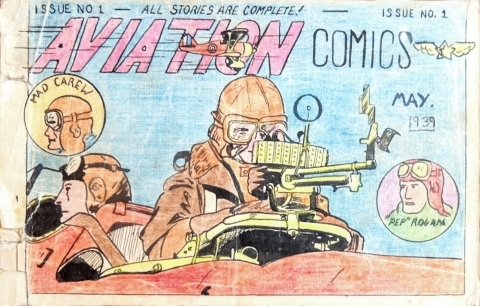 The first was Jack’s Aviation Comics No. 1 which had the date May, 1939 on it. Now Jack had just turned 13 on May 1, 1939, so he was very young when he put out this comic. Superman No. 1 hadn’t hit the stands yet and Detective 27 had probably just gotten to the stands. The war was about four months away. This half-sized comic, coloured with water colours and pencil crayons was still quite well done. 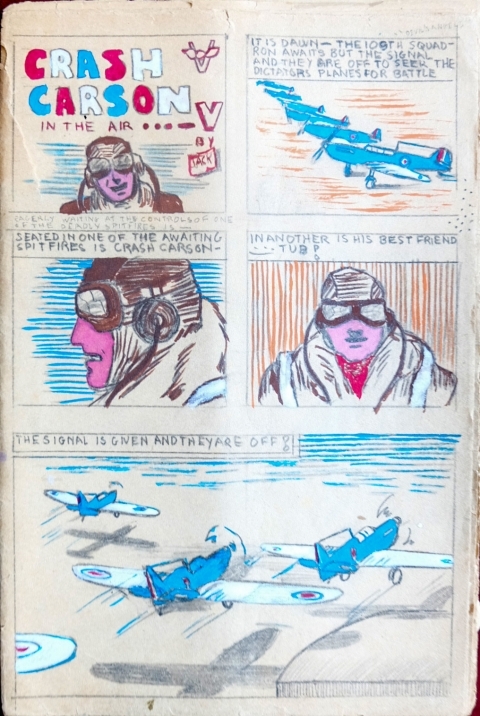 One of Jack’s earliest hand-made comics from May, 1939. 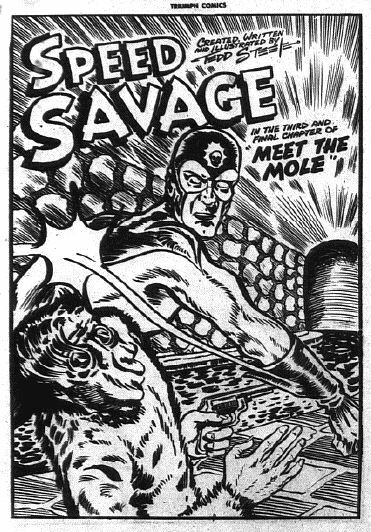 The splash page from the above comic. The very first instance of Jack’s air ace hero Crash Carson who was later to find a home in Wow Comics. 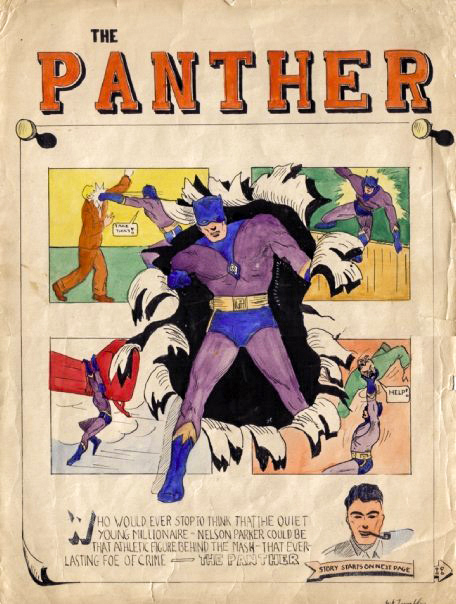 A splash/cover for an issue of Jack’s hand made The Panther comic probably from 1940-41 when Jack was 13-14. 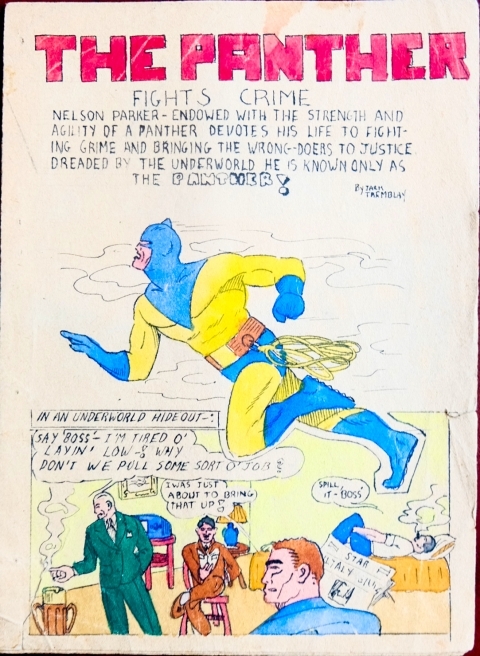 Another issue of The Panther with a slightly different costume colouring. 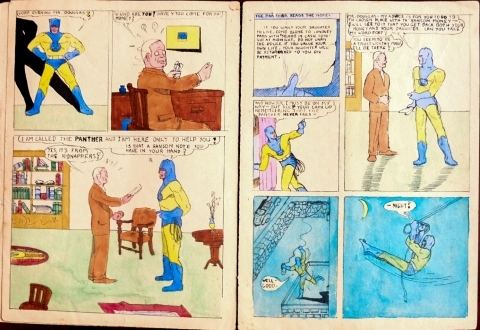 A two-page spread from the above The Panther comic. A Panther page that hadn’t yet been coloured. Rick and Jack pointed out that the Panther had special springs built into the soles of his boots so that he could leap long distances when he wanted to. These were amazing and for me represent the start of comic fandom in Canada. They have to get into an archive soon. 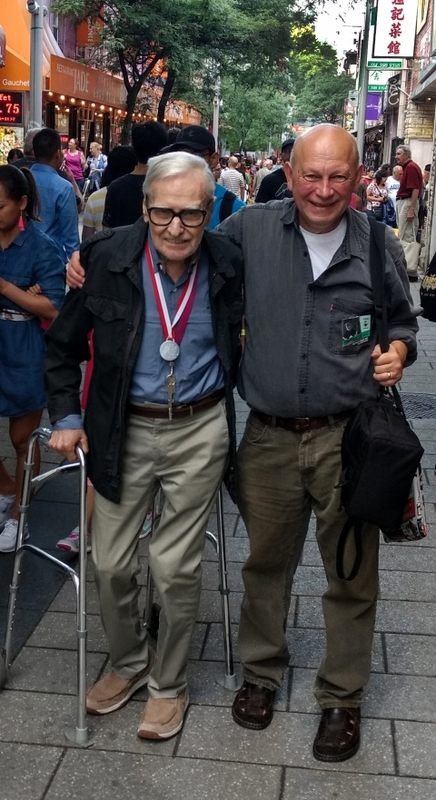 Some great talk over shrimp Pad Thai and green tea and then Rick and Jack had to head back to Jack’s residence to meet curfew and I headed up Boulevard St. Laurent past the Jazz Festival stages and tents to my residence room at Auberge UQAM. A great day, and I look forward to the next time I’ll be fortunate enough to share a little time and conversation with Jack and his son Rick. All of this makes me think of doing a similar session with Gerry Lazare at Fan Expo if he would consider it. However, if that could come off, I’d prefer to ask for the luxury of a 90 minute session rather than just the usual 45 because I know that we could easily and entertainingly fill it. Gerry is a great story-teller and all we would need would be an engaged audience. 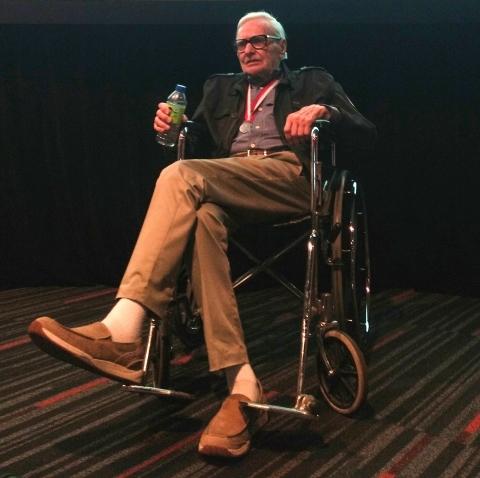 I think it’s great that you especially should have the opportunity to meet so many of the living heroes of the Canadian Golden Age.I’m sure your enthusiasm for the period is infectious and a real treat for these veterans of our cultural history. I’m so glad at least some of them lived to see their comic legacy receive the attention and the accolades of modern historians they have so richly deserved. Best of luck in all of your future historical pursuits. Thanks, Mel. Your words are much appreciated. This is the whole impulse for my book on the Bell Features artists. 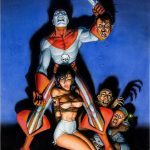 You know, so much work has been done on the American golden age creators and maybe this is partially because there was a continuity of comics below the border from that time and because many of those heroes were eventually revived so that the golden age of American comics has always been in the cultural consciousness of American comic fans. In Canada, after the guillotine fell on our industry after the war, there was a huge gap until we got to Orb and Captain Canuck and Cerebus. 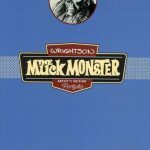 The challenge is to bring these books and creators back into our general cultural and comic consciousness so that they won’t be forgotten and so they can be appreciated for the quality and just plain “coolness” of what they put out. It’s so interesting to see these comics from when Jack was 13 or 14 years old. Based on my own research, I agree that this might be the beginning of comic fandom in Canada. That said, I see these as more of an isolated example of Canadian comic fandom and fanzines (maybe even proto-zines). 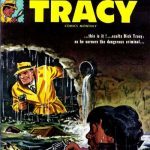 I do not see there being any continuity with what happened in the late 60s when Heroes and Rubber Cop and Operation Missile were published, as well as all of the stuff that Captain George, Art Cooper and Vincent Marchesano were up to (just to drop a few names). By this point, most of the Canadian fandom folks would have been well aware of each other. My gut feeling is that none of the creators I mention would have been aware of Jack’s “fanzines” and that their work was inspired by the fandom coming out of the USA (which is particularly true for Derek Carter’s Operation Missile, which was widely supported by Wally Wood). 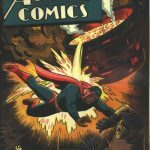 Various sources point to Ted White’s Superman fanzine from 1952 as being the “first” comic fanzine, so Jack’s work here predates this by more than a decade. I, honestly, am not a fan of using the term “fanzine” to describe original amateur comic work and am glad you don’t use the term here. I like to “blame” Vincent Marchesano for this in Canadian comics, as many of the items published through Spectrum refer to each other as fanzines. 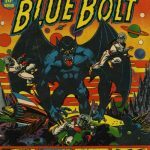 Inspired by your own research, I’ve been doing a lot of work with the Canadian Silver Age lately, so if you ever want to delve into that rabbit hole I’m happy to chat. It’s a real treat to see these and I wish that I could have been in Montreal in person. I am particularly fond of the Panther character and love seeing this early version of Crash Carson. So few comic creators that I have spoken to actually keep early work such as this. It’s amazing that these pieces haven’t been lost to history. As always, thanks for sharing your research. Brian, thanks for your informative take on Jack’s hand made comics. I agree with you that these comics of Jack’s really had nothing to do with the organized fandom that started to appear in the 60s. That organized comic book fandom seemed based on the SF fandom that had existed for decades. Already in 1961 there was an “Academy of Comic Book Fans and Collectors” (which Capt. 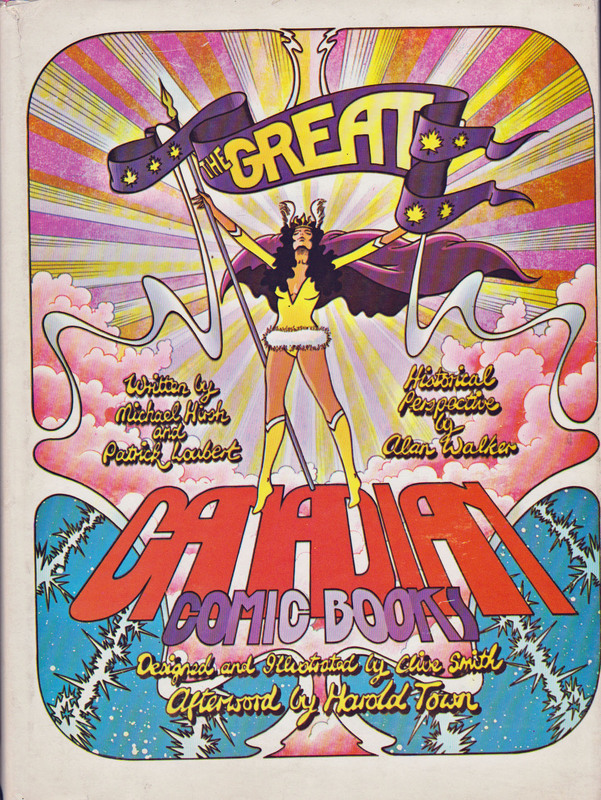 George based his formation “Canadian Academy of Comic Book Collectors” that he ran out of his Viking Book Store on Queen St. in 1966) and about 30 American fanzines already in existence. 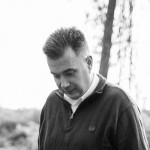 This number doubled in 1962 and by 1963 there were just over 100 fanzines operating in the States. The first ‘official’ comic book convention was on July 27, 1964 in NYC. Capt. George’s “Com Ex” took place in U. of T.’s Hart House on Nov. 27, 1966. 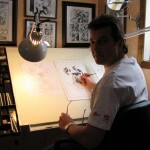 It was the next year that Vince, Terry Edwards, and Art Cooper came out with Comic Canada and Canada’s Best. I was right in the middle of those “zines” here in Hamilton. 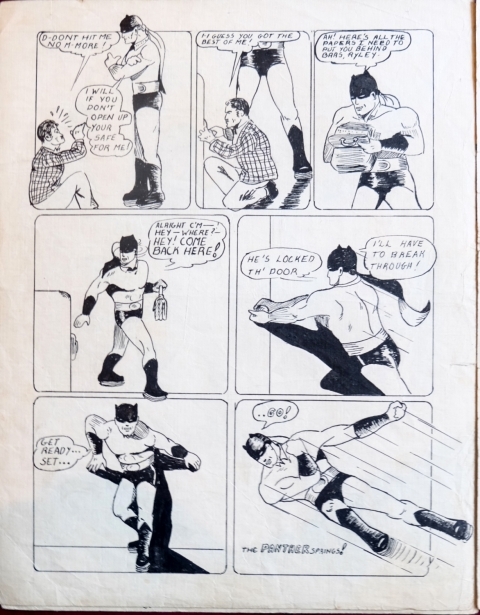 Jack Tremblay’s hand made comics from 1939-41 are the start of fandom in Canada because the echo one of the things that all of us “comic fans” did at the beginning: we tried drawing our own comics. Some, like me immediately scrunched up the paper and threw it in the waste basket, others like Jack sold their one-off originals to other comic fans, and others like Vince and Art made multiple copies and sold these to other fans, but kept the originals. In the end Brian, I agree with you that Jack’s hand made comics were perhaps the earliest fan activity I know of in Canada but they are not fanzines. They are indeed an expression of love for the comic book medium in the same way that the organized fandom of the 1960s was, just done in a more personal and isolated way. On a different note, Ivan, I’m curious as to whether or not you asked Jack how well these self-published works were received in his neighbourhood when he attempted to sell them for a nickel a piece. Did they actually sell well for him? It appears that they did they provide him the confidence and guile to pursue comics at such a young age? I understand that many of the artists employed during WECA were teenagers, but peddling these comics shows a certain amount of gumption that I hadn’t expected. Brian, Jack has said that he had no trouble selling them in his Drake St. neighbourhood. Some he kept for himself and a couple (such as the yellow-costumed Panther splash comic) weren’t completed and drifted into inked but yet-uncoloured and finally pencilled pages towards the end. Not all the things he created at this time were strictly comic format. Some looked like big little books with text on one side and an illustration on the other. 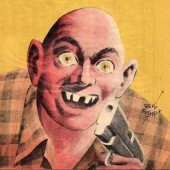 I think a lot of that “gumption” you mention came from a love for drawing and an effort to draw well. This was a common thread in the talks I had with Gerald Lazare and Murray Karn for example. They felt that they could draw as well as the comics they were reading and this combined with a passion for art led a good number of these WECA artists into careers in commercial art and then eventually fine art as their careers progressed.